Here we are, the end of Sonny Burnett. We all had so much hope for him too. 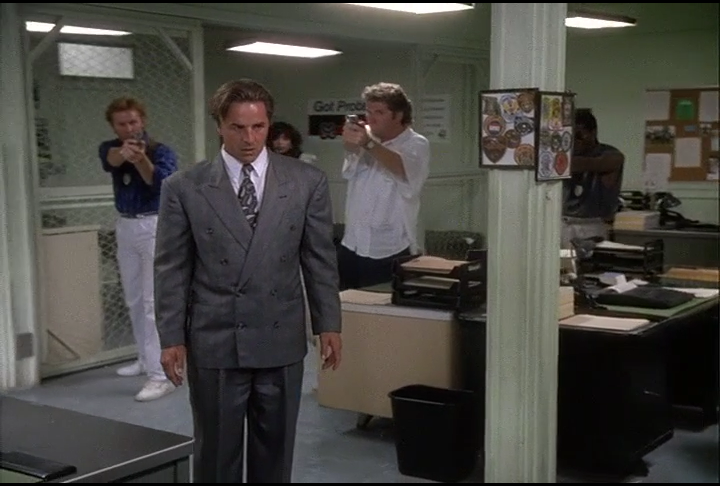 Sonny Burnett was single-handedly the most evil villain in the history of Miami Vice. He orchestrated a full coup of all the highest ranking cocaine cowboys in South Florida, convinced a family to turn against each other and started a coke-mule union with the drivers. He was one step away from upending the entire system and replacing Tony Montana as the baddest cartel in all the land. Alas, remembering all the times Tubbs told him he loved him and his love for the Vice team brought him back. This is a good episode of Vice that should have been at least one more episode. Dominic is really mad at Bob. Melissa knows how you cure amnesia thanks to decades of TV watching. John isn’t sure who the cow is in Cliff’s story.